It isn't often we get an aircraft with a registration like this. We don't think the children should see it. 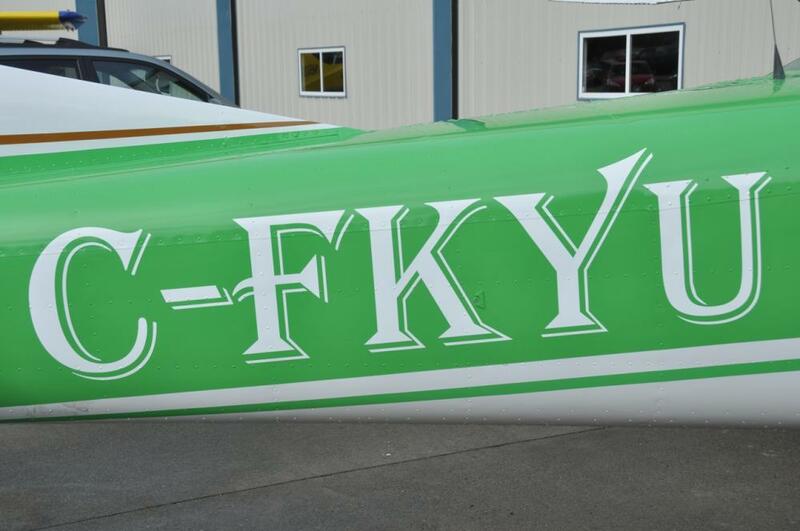 We imported this Cessna 182 for an exuberant owner whose wit and positive attitude has made her a hit with the crew. Her tail art is appropriate. Along with the import, we have been beavering away on floats for Fiji, a Turbo Beaver for Alaska, a Beaver for a local customer, various inspections, paint jobs and major repairs. Ali, Sandeep and Stewart are making things happen. But no matter what is in the hangar, this is what visitors notice first.